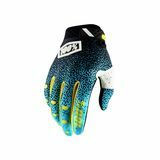 JMoney - Michigan Ripped first week "I will swear by 100% goggles but when it comes to these gloves I would steer clear. My Buddie and I both picked these gloves up at the same time and both pairs ripped in the same spot after about a week. Style is still 100% but quality is not." 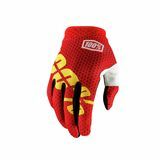 Motofox14 Great gloves "I wore these everyday when commuting and they were great. The did finally tear at one of the seams but that was after tons of abuse. Would definitely buy again."